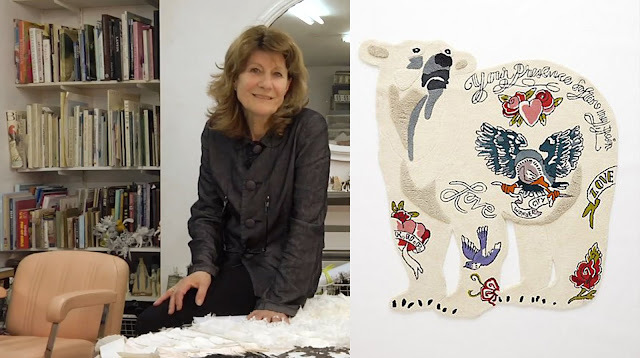 Karen Nicol in her studio (left); Tattooed Bear Rug for Anthropologie Stores (USA). Sometimes life presents an opportunity to meet someone through a work-related project. If you are lucky, there's a kind of chemistry and camaraderie which evolves in the process, and the project takes on a greater sense of meaning and purpose. Meeting Karen Nicol at the offices of the Embroiderers' Guild was one of those opportunities. Karen is a British-born fashion designer and embroiderer who has developed her own unique style of embroidery. Unsatisfied by the traditional stitches and outcomes and feeling disconnected from the usual ladies' social stitch clubs, Karen set off on her own after finishing college in London to Paris, France with a simple objective: apply what she had learned to the world of embroidery for fashion and apparel. Karen's journey has taken her from commissions by the King of Qatar to fashion runways in Paris and Milan. In the US we find her work available as a line of her own products for the store Anthropologie. 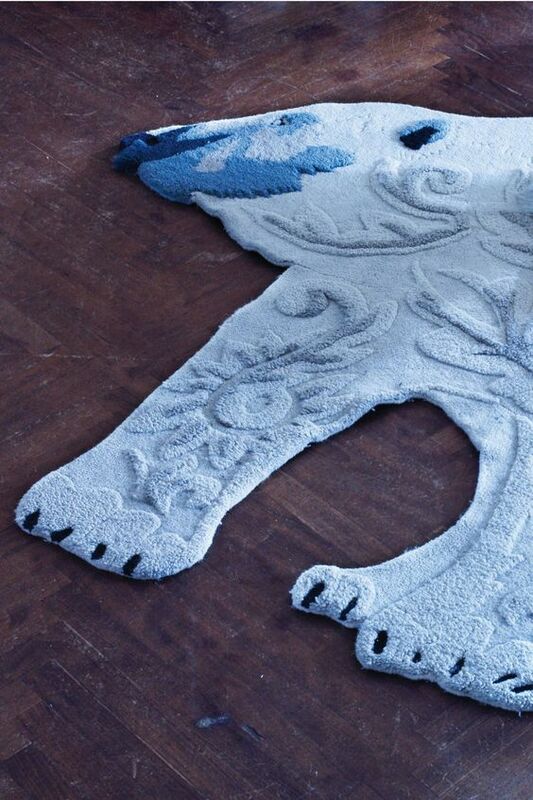 Ursine Rug by Karen Nicol for Anthropologie. 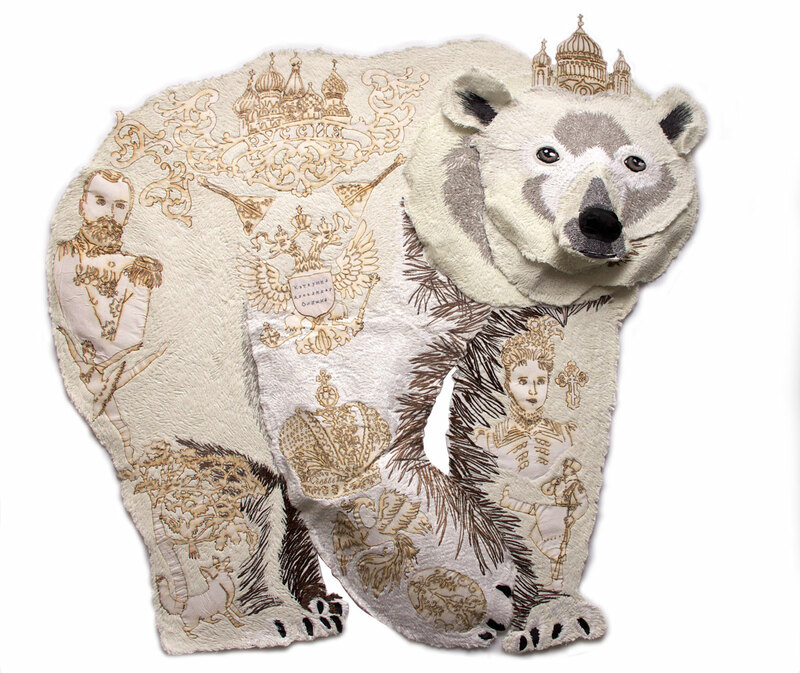 Karen is the 2015 Beryl Dean Award recipient as granted by the British Embroiderers' Guild, the UK's largest craft association and publisher of Embroidery Magazine. 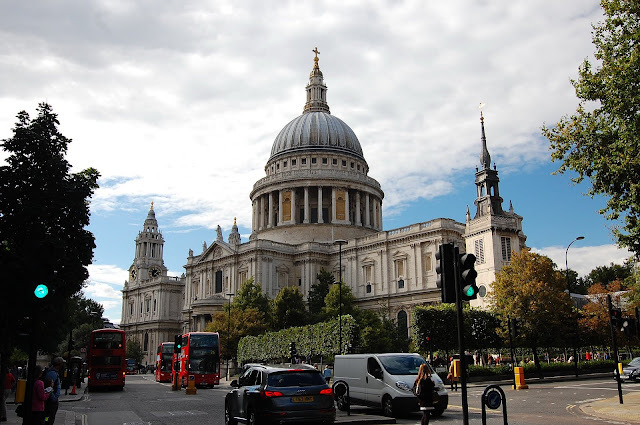 For the award ceremony, I was asked by Terry Smith, the Managing Director of the Embroiderers' Guild, to edit a version of the artist interview for an award ceremony at St. Paul's Cathedral in London, England. I had written a musical motif for cathedral organ many years earlier that I hoped might be heard in a cathedral one day. I lightened the them by arranging it for grand piano and orchestral harp and used it as the background music for the video. And while I was not in the catacombs of St. Paul's Cathedral the night Karen received her distinguished career award, it tickled me to think about my musical theme echoing through the chambers into the duomo above. "Collaboration is really important as an artist because it takes you out of your comfort zone", Karen says in the film documentary about her work. When we collaborate we grow as artists and I suspect our collaborating to make this video was that sort of experience for me. It was instrumental in my contacting Daniel Gundlach a year or so later to ask him if he would share his 15 years of photographs of Indonesia with me and make a film about batik. It's funny how one thing leads to another that way. I occasionally call Karen on the phone, to keep a small strand of relationship going, in hopes that we might be able to collaborate on a project again one day. I am sure I would like that very much. 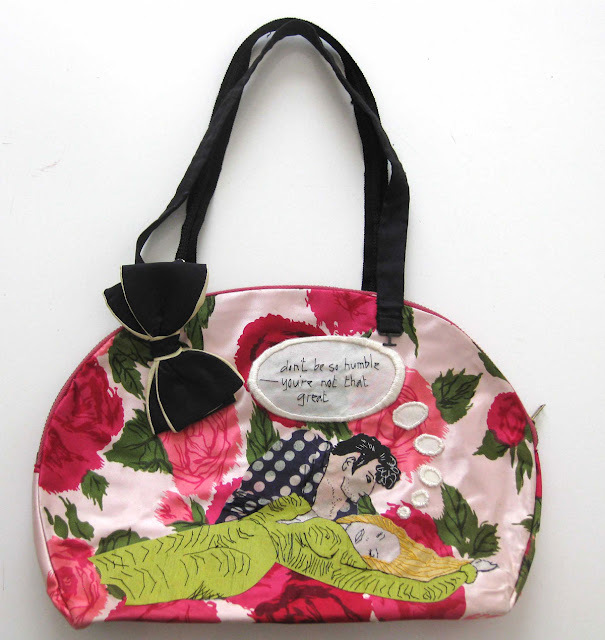 To enjoy more of Karen's work, please visit her website.